How To Dab and What is Dabbing? Whether you are smoking three times a day or just a weekend warrior, getting all your smoking accessories in one place just makes things so much easier. Kick back and take a nice long hit and relax, everything you need to enhance your smoking experience is available at your fingertips. Whether you are looking for a cool conversation piece ashtray, a new herb grinders, lighters, or stash boxes, you will find everything and more to indulge your smoking desire. These smoking accessories are designed to make your life just a little easier while helping to protect your investment from damage. 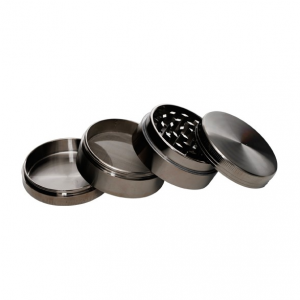 The purpose of your herb grinder is for one thing only, the easily break up those buds so fine that you can load them easily and evenly into the bowl. While this might sound like a simple task, you will be pleasantly surprised at the huge variety available. From lush wooden pots to two-part acrylic grinders with stunning inlays in the lid, these grinders are built to last, providing you years of enjoyment. No more chunks of buds clogging up your experience, enjoy a nice evenly broken down bowl of smooth smoking enjoyment. Of all the smoking accessories you could possibly need, the ashtray is a throwback to a century ago when smoking cigarettes were considered to be cool. Choose from a vast array of ashtrays made of ceramic, glass, or metal, complete with decorative designs that make a perfect conversation piece of gift. These little smoking accessories also help to keep those ashes away from things like your couch, chairs, and tables, just like rolling trays. Whether you are packing the bowl or rolling your own, there simply would not be any smoke if there was no fire. Get the party started with a lighter that you can depend on when it is time to get smoking. These decorative and distinct lighters can be trusted to light every time without issue, allowing you to get down to business now. Never again will you have to hit up the party for a light when it is time to get smoking. To enhance your smoking experience, whether with a bong or pipe, one of the required smoking accessories is the filter. 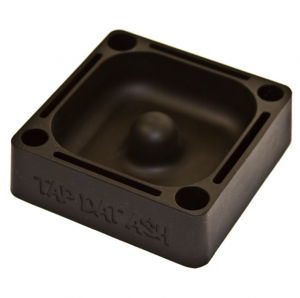 Metal gauzes, screens, and glass filters allow you to get the best possible hit every time. 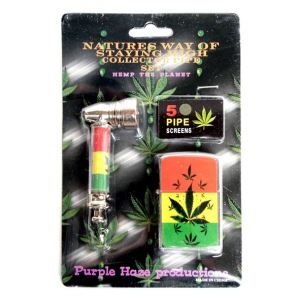 These little smoking accessories prevent any substances from getting into the bong or pipe, the essential accessory for every serious smoker. The added benefit of these filters is they also help to make cleaning a breeze after each time you break out the bong or pipe. Properly storing away your smoking devices and all accessories is key in being able to have a fresh hit the next time you smoke. Don’t make the mistake of leaving your papers or stash out in the open, invest in a cool stash box for all your product and sleek smoking paper cases to keep your papers from getting damaged. Now you can store your bug right out in the open in these skillfully handcrafted stash boxes that blend right into their surroundings. Consider secret stash boxes that resemble a candle or a book if you want to keep things on the down-low. The bottom line is that if you want to enjoy your smoking experience next time, you had better take the time to properly clean your devices after each use. Keeping the pipe and bong sparkling clean will allow it to last much longer. You invested a nice amount of money in these pieces, so why not take the time to clean them properly to ensure that your investment is protected. One added benefit of using top quality pipe cleaners and brushes to keep your devices clean is that your next smoke will taste much better. For that, you better believe your lungs will thank you! The little amount of work required to properly clean your bong and pipe will reap huge rewards next time you grab your lighter. Regardless which smoking accessories you need, enjoy the convenience of being able to grab everything you need all in one place. Protecting your investment and enhancing your smoking experience are what it is all about! Which Strain Has The Highest Level of THC (34.04%) in 2018?